CLOSEOUTS. 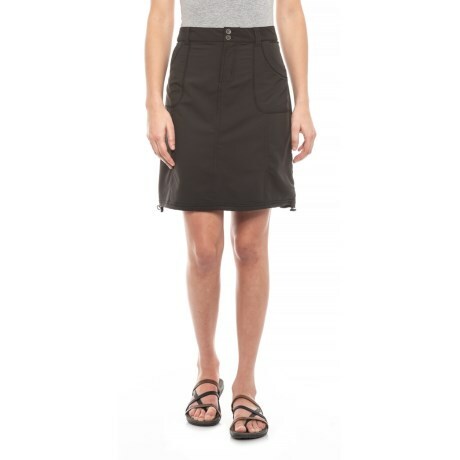 Lightweight, fast-drying and full of stretch, Aventura Clothingand#39;s Shiloh skirt takes you from trail to town to beach with its versatile style and easy fit. Available Colors: BLACK. Sizes: 2, 4, 6, 8, 10, 12, 14, 16.